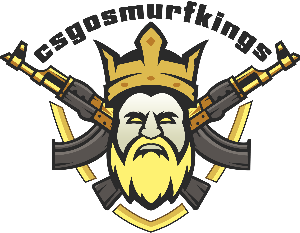 Csgosmurfkings is a site that provides ranked Counter Strike Global Offensive accounts. The buying and selling of Steam account is against Steam TERM’S OF SERVICES . You accept the full risk of purchasing an account. If Steam limits or in anyway revokes your account Csgosmurfkings will only replace or refund the account if you are within the 14 day warranty period. Outside of this 14 days period we will not refund or replace any accounts due to Steam intervention. Csgosmurfkings is in no way affiliated with Valve Corp.
Account Acceptance : Playing a competitive matchmaking game on an account constitutes full acceptance of the account as it was received. If your account arrived at a different rank then what you purchased, please contact us before playing any competitive matchmaking games on it. We will refund the difference or replace the account. If you have played any competitive games we cannot help you with the rank difference at all. Please be advised that this User Agreement contains provisions that govern how claims you and Csgosmurfkings have against each other are resolved (see Disclaimer of Warranties; Limitation of Liability and Legal Disputes provisions below). It also contains an Agreement to Arbitrate, which will require you to submit claims you have against Csgosmurfkings to binding and final arbitration. Acceptance of the Agreement : By accessing or using the Site, you hereby agree to accept the terms and conditions set forth in this Agreement as a User. You shall be bound by the terms and conditions of this Agreement with respect to your access or use of this Site and any further upgrade, modification, addition or change to this Site. If you do not accept all of the terms and conditions of this Agreement, please do not use this Site. You may not use the Site and may not accept the terms of this Agreement if (A) you are not of legal age to form a binding contract, or (B) you are a person barred from using the Site under the laws of the United States or other countries including the country in which you are a resident or from which you use the Site. Before you continue, you should print off or save a local copy of this Agreement for your records. Amendments : Csgosmurfkings may amend this Agreement and/or Site policies at any time, with or without notice to you, by posting the amended and restated Agreement or policy on the Site. The amended and restated Agreement and/or policy shall be effective immediately upon posting. Posting by Csgosmurfkings of the amended and restated Agreement or policy and your continued use of the Site shall be deemed to be an acceptance of the amended terms. This Agreement and Site policies may not otherwise be modified, except in writing by an authorized officer of Csgosmurfkings .